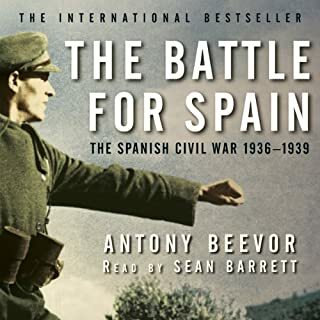 Over the past two decades, Antony Beevor has established himself as one of the world's premier historians of World War II. His multi-award winning books have included Stalingrad and The Fall of Berlin 1945. 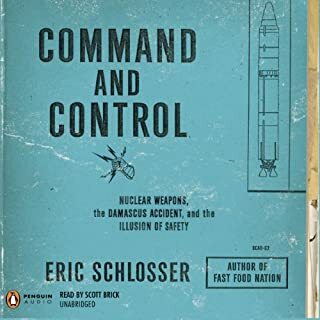 Now, in his newest and most ambitious book, he turns his focus to one of the bloodiest and most tragic events of the 20th century, The Second World War. 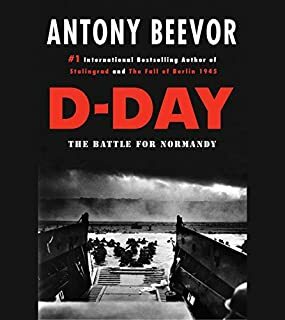 In this searing narrative, which takes us from Hitler's invasion of Poland on September 1st, 1939 to V-J day on August 14th, 1945, and the war's aftermath, Beevor describes the conflict and its global reach - one that included every major power. 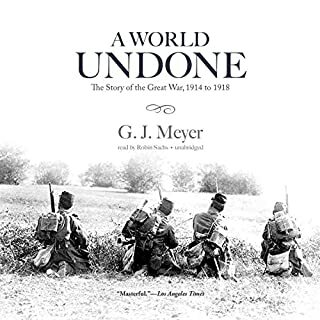 The result is a dramatic and breathtaking single-volume history that provides a remarkably intimate account of the war that, more than any other, still commands attention and an audience. Thrillingly written and brilliantly researched, Beevor's grand and provocative account is destined to become the definitive work on this complex, tragic, and endlessly fascinating period in world history. It confirms once more that he is a military historian of the first rank. This book is truly One the finest historical reads on World War 2. 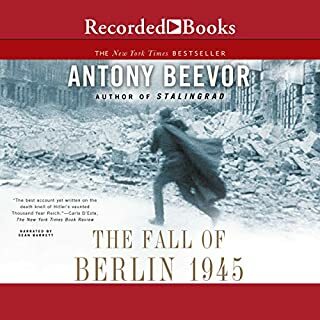 I first came across Antony Beevor after reading his incredible book on Stalingrad. I am going to read that one again. It is that good. Weak coverage of certain battles, unless American. Also the Narrator is subpar. Sounds slobbish and disinterested. Adding racial accents to only American quoted speech is an odd tactic. A very informative book, with information I had not heard before - rare for a WW2 survey! The author seems determined to point out every leader's flaws. The reader read in an almost angry tone that matched the text. This was honest but a bit grinding. You'd think we had had no leaders of merit! Fabulous book with lots of great details. Excerpts from letters and diaries written by soldiers really helps bring home the humanity that would otherwise be lost among the great events of the war. Excellent narration. 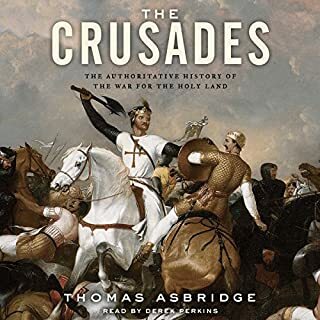 Provided an excellent overview of the war and all its many parts. Worth while for any fan of history. Couldn't get enough of this book. The narrator was great, and the story (although horrific at parts) was so engrossing. I've been reading histories of WWII and watching the documentaries for forty years or so. (If I count the High School books about WWII fighter battles it's more like 50 years.) I'd recently gone back and listened to ?? ?The Rise and Fall of the Third Reich,??? a book I hadn't read since 1970. I thought that I had a pretty good handle on the major events. Yet, time and again Beevor was able to illuminate some aspect of the events that I had either never considered or had never heard about. 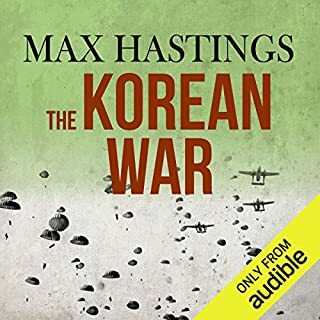 His skillful blending of macro historical details with first-hand accounts from soldiers' letters home made listening to the book a riveting experience. If you are interested in the history of this global conflict, it is definitely worth the two credits. The best overview of the war I've read (probably read half a dozen or more over the years). 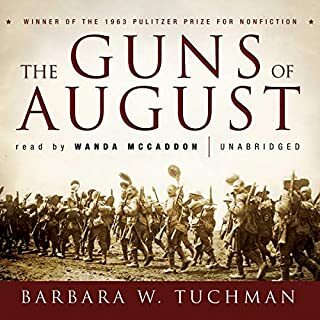 Finds a perfect balance between flowing narrative, first hand accounts, historical evaluation, and enough just depth of the events and people conducting the war for context. Also probably the only overview that doesn't exclude or give short shrift to the China / Burma campaign. Extremely good tactical analysis of commanders and decisions as well. Should be the default intro text for study of the war! Narration is also spot on. Wish I could give it more than 5 stars. 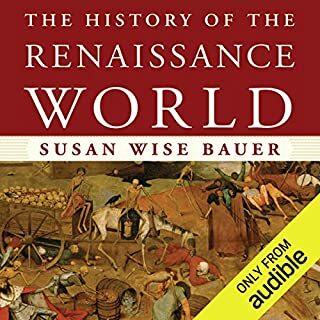 Voice actor takes a little to get used to, but once you do it's a great audio book. 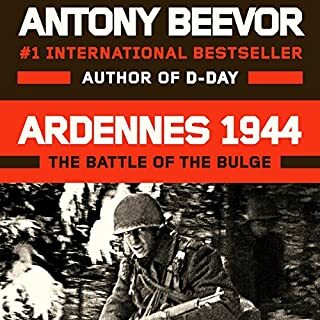 If you want to learn about wwii you should read Antony Beevor. 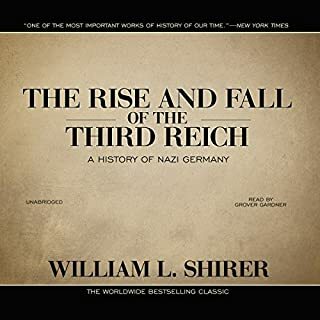 I put this book up there with "The Rise and Fall of the Third Reich"
Every major step of the war is covered in detail with its significance to the overall outcome of the war. The author speaks with historical authority and corrects many misconceptions that I had about the war. The book is choke full of facts but the most pleasant part is for every major battle the author finds a diary or a letter from a low level participant and personalizes the engagement through the participants eyes. 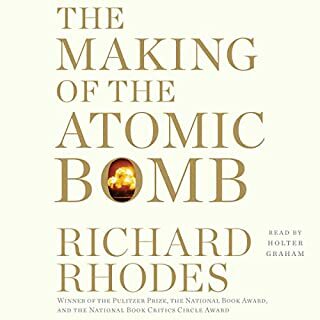 After having listened to this book, I can't even imagine listening to any other book about the second WW. He covers the material that well at both the big picture and the personnel level. 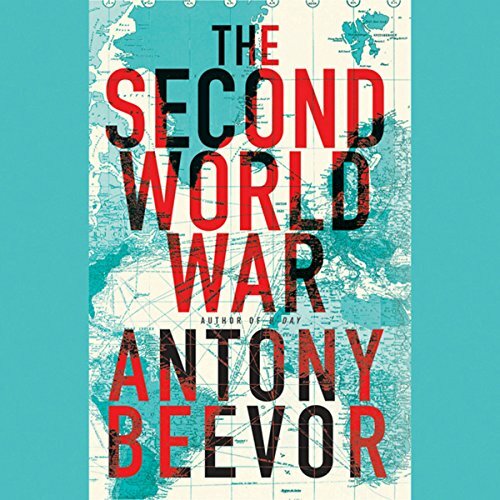 I bought this history of the Second World War because I had previously read Mr. Beevor’s book on D-Day and thought it was both well written and thorough and this book is no different. It covers all of World War II including those theaters like Burma and China which are often ignored because they do not seem to have played a central role in the conflict. 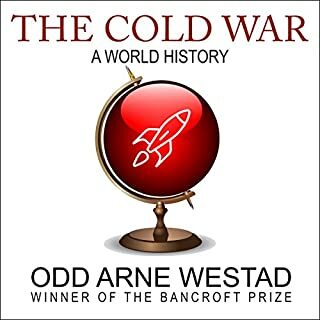 He logically follows the events of the war in chronological order and this often has chapters switching around the globe to follow what is happening. Some, like me, will need a map to follow events in places where their knowledge of the geography is skimpy. Mr. Beevor covers events thoroughly with descriptions of the battles often describing attempts to take little known but important hill positions or road junctions. While the descriptions are clear they sometimes seem a little too detailed for those wanting an overview of the battles. The book is full of little vignettes which are often informative enough to clarify the political as well as military events. One example would be Georgy Zhukov’s assumption, when summoned by Stalin in 1938 to take charge of the First Soviet Mongolian Army Group, that he needed to bring his personal belonging because he was probably being sent to the Gulag. 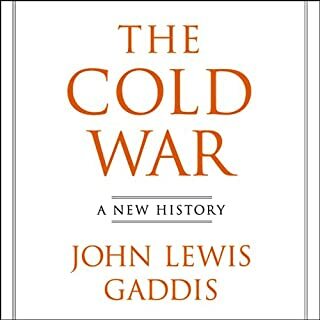 No description of the political atmosphere in The Soviet Union could more clearly show the climate of fear and repression than that simple story. Similar little stories, often taken from letters or diary entries, from politicians, soldiers, husbands, wives and others are sprinkled throughout the book and they help to explain the true situation in ways that simple narrative could not. There is an oddity in this book. Mr. Beevor lists the date of Pearl Harbor as Dec 8. When I first heard this I assumed that perhaps he was talking about the date in Tokyo, but the book specifically states that planes left the carrier at 6:05 on December 8th. An odd thing since everyone knows it was december 7th. Another thing that I feel should be mentioned is Mr. Beevor’s distain for many of those in either political or military positions of importance. Erwin Rommel, generally thought of as one of the more moral and insightful generals of the German army, is described as careless, unwilling to face facts, ignorant of logistics and unwilling to listen to his superiors (a trait that I always thought was one of his best). General Eisenhower is spoken of as “politically naïve” while current biographies speak of him as a brilliant politician (see Jean Edward Smith’s biography or Evan Thomas’ book “Ike’s Bluff”). Churchill, the man recently voted the greatest figure in UK history, is treated poorly by Mr. Beevor, Franklin Roosevelt is presented as short sighted, the picture of general Stillwell in this book is a very different pricture than that presented in "Stillwell And The American Experience In China", and the list goes on. I am so much not taking issue with Mr. Beevor’s opinions – one of the reasons I buy books like this one is to see and hear differing opinions – as to point them out to the potential reader. What made the experience of listening to The Second World War the most enjoyable? Very well written account of the war. Concise, yet informative. Keeps your interest by adding lesser known facts about what the people who were not in the armed forces were going thru. What was one of the most memorable moments of The Second World War? If you want a great summation of WW 2 without being engulfed in minutia that only a historian would want, this is the book for you. Complete, easy to follow, yet very complete with the major facts, as well as lesser known events that keep the whole book interesting. If you could sum up The Second World War in three words, what would they be? "Second World War". This is the comprehensive story of WWII and I think the book's title says it all. 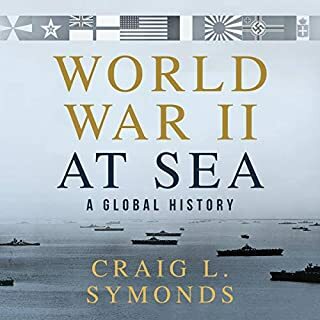 If you have an interest in WWII, this book is a wonderful overview. What other book might you compare The Second World War to and why? Probably something like The Guns of August or another comprehensive battle story. As someone who has both read the book and listened to the audio book, Sean's narration is quite good. The Second World War is a BIG book with small type. It's far easier to listen to it than it is to carry that thing around! Nope. It's not that kind of story. 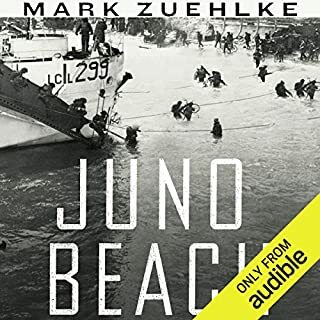 It's a great listen/read for anyone with an interest in the subject matter - probably the best comprehensive WWII recounting out there. What did you love best about The Second World War? A wonderfully written and thorough history of the War, read magnificently. Sean Barrett not only speaks melodious and extremely clear "English English," but is a master of other European languages as well. 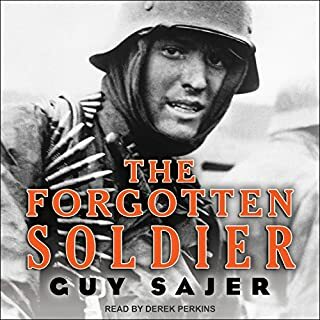 When he speaks a German, French or Russian name, he does it in German, French or Russian - adding much to the enjoyment of the listener.The book itself is a continuum of small stories which, in their aggregate, give a total picture of the horrors or WWII. Mr. Beevor calls it like it is - no favoritism whatsover, whether to Ike, Monty, De Gaulle, Stalin, Churchill or Roosevelt. 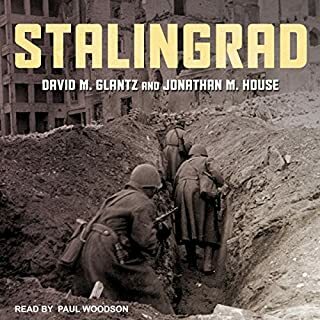 I have read (or listened to) other WWII histories, but none was as exceptional as this one. I give much credit to the reader for holding my attention (even while driving). Beevor's description of the Holocaust, although necessarily short, gave one of the best pictures I've read. His blow-by-blow tales of each of the major WWII battles makes you feel like you were there. He brings the book to life! The film would last days! An excellent, comprehensive overview of the most destructive conflict in history. I really like how the author concentrates on political as well as military aspects of the war. Would you listen to The Second World War again? Why?